Garren started his track career at Hazelwood Central High. He has acquired a few record titles while he was in school. The 100m Record(10.34), 200m Record(21.50), 4x100m Record(41.20), and State Record 4x200m(1:25.62). 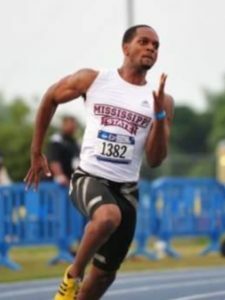 Running those times has helped him earn a scholarship at Mississippi State University to finish with a Bachelors Degree in Business Administration and Psychology. While running in the SEC conference he was able to hold his own in both of his events being the 100m and 200m. Running a new personal best of 10.40 100m & 20.91 200m. This allowed him to compete at the 2011 Penn Relays in the 100m, 4x100m, and 4x200m. Hendricks then competed in the 11″ NCAA Championship East Regional 200m dash semifinal. He ran 21.34 to finish 13th, missing the National Championships by 0.04 seconds. Afterwards Hendricks had to go through two surgery operations in 08″ Back Surgery & 12″ Hamstring Surgery which halted his track career. Recently he has managed to overcome both injuries and was able to compete at the 2018 Show-Me State Games in both the 100m & 200m. Finishing 2nd against his teammate Anthony Hall with 10.57 100m and 21.80 200m. Run 9.89 100m, 19.85 200m, and make 2020 USA Olympic Teams.